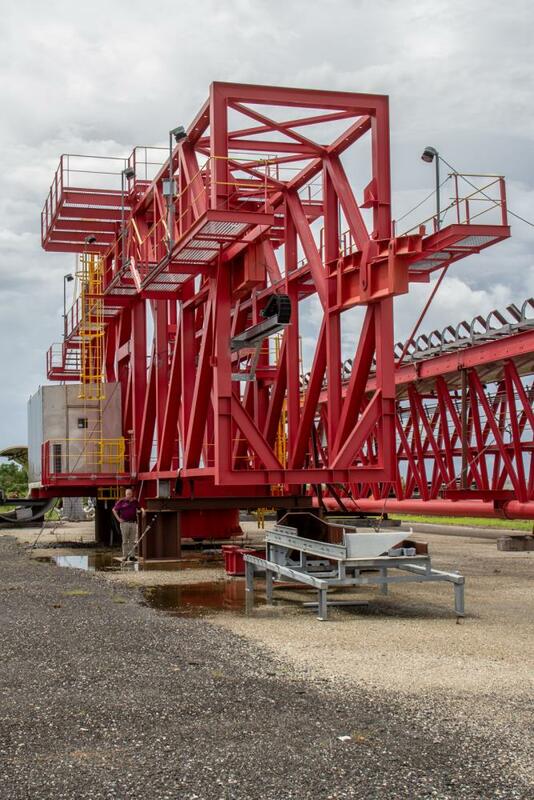 New, never commissioned Agrico ship loader. 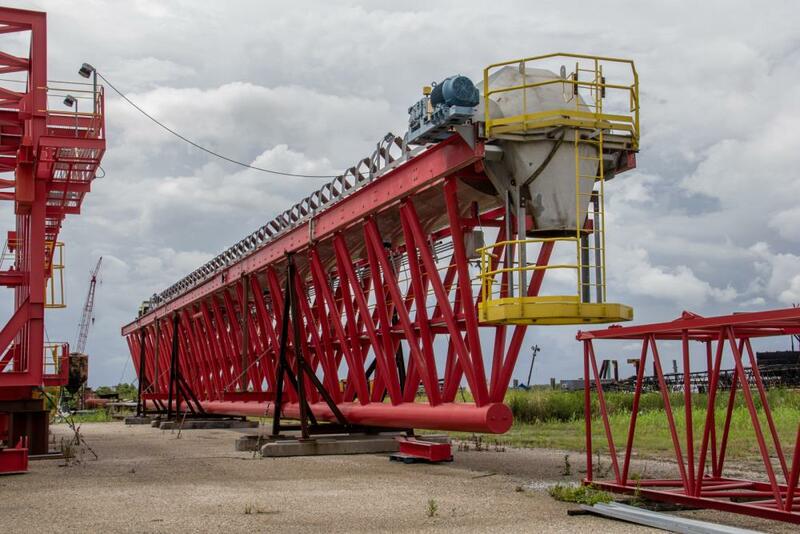 72 inch belt for a 6,000 Mtph capacity; This is a fixed tower ship loader with rotating and shuttling boom. 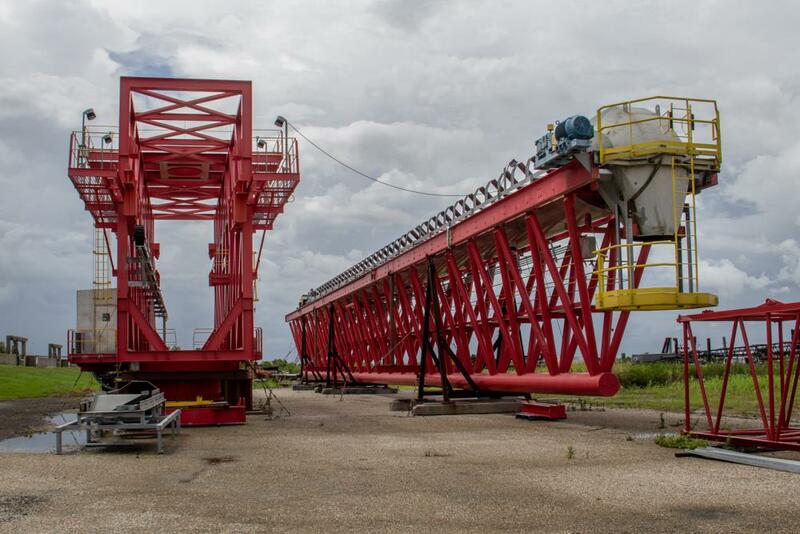 Boom extends to 150’ radius from center of rotation. Low foundation costs with only a 30' X 30' footprint for the tower (center of column to center of column). Built for dust free operation. Radio remote control standard; optional operator cab retrofit available. Agrico's superior design means greater safety, more uptime and reliable production. 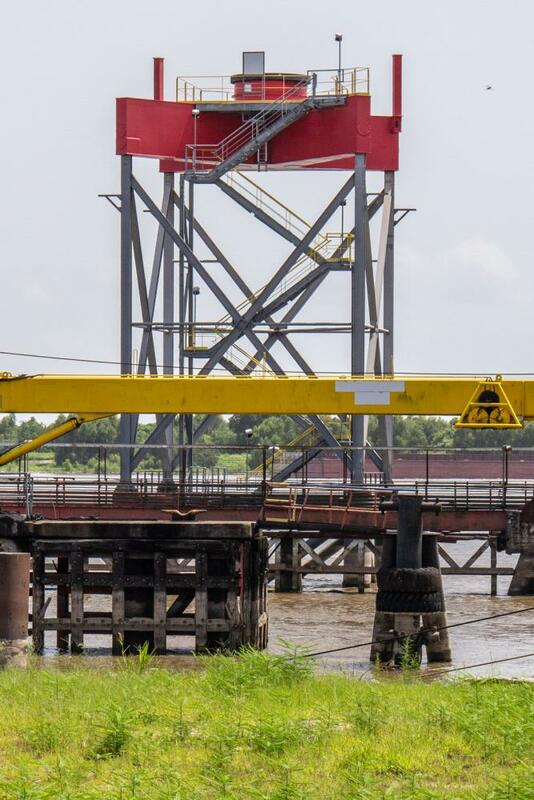 This unit is ready to go with only normal make-ready required prior to loading on your barge or ship for delivery, erection and commissioning anywhere in the world. Complete erection and commissioning is available under a separate contract.